Omnitek Engineering Corp. will participate in a $1.5 million grant study (Off-road Heavy Duty Natural Gas Vehicle Research and Development Grant of the California Energy Commission) with its partner Olson-Ecologic Testing Laboratories, based in Fullerton, CA, to demonstrate its clean natural gas engine technology for off-road heavy duty construction vehicle applications in the greater Los Angeles area. Omnitek Engineering will develop an 18-liter Caterpillar natural gas engine capable of operating on CNG, LNG or low-carbon intensive renewable biogas (R-CNG) by utilizing its patented diesel-to-natural gas engine conversion technology. Olson-Ecologic Engine Testing Laboratories will serve as project manager and be responsible for rigorous testing at its facility prior to demonstrations under real-life conditions. 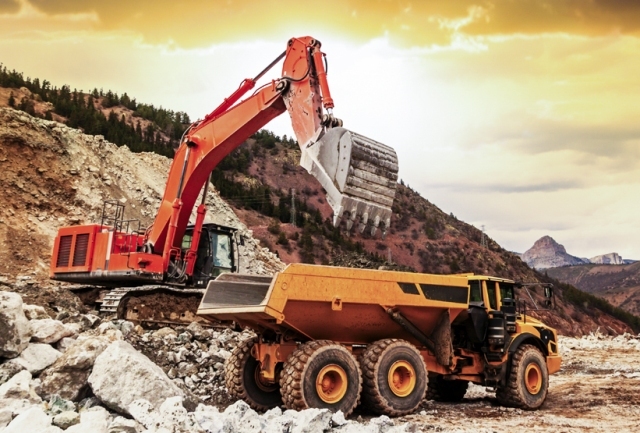 “Construction equipment is the largest category of off-road emissions in the South Coast Air Basin, accounting for about one third of the off-road NOx and PM 2.5 emissions, according information provided by the California Air Resources Board (CARB). Our goal is to demonstrate the cost-effective alternatives to reduce carbon emissions, improve air quality, and facilitate fleet compliance requirements by introducing advanced technology natural gas engines to the traditionally diesel powered off-road construction industry,” said Werner Funk, president and CEO of Omnitek Engineering Corp.
Funk added that heavy-duty diesel off-road machinery has a long service life and therefore is replaced less frequently than on-road heavy duty trucks. The long service life of heavy-duty off-road machinery results in a very slow rotation of the fleet to cleaner technology. “We are advocating a cost-effective repower of existing older machines with Tier 4 compliant NG engines instead of replacing vehicles by purchasing new Tier 4 compliant diesel machines,” Funk said.